Unroll dough into 2 long rectangles; firmly press perforations to seal. Sprinkle each rectangle with 2 teaspoons cinnamon-sugar. Starting at long side, roll up; seal long edge. Cut each roll into 10 slices. Place slices, cut sides down, on cookie sheet. In small bowl, mix powdered sugar and milk with whisk until smooth. Drizzle glaze over warm rolls. 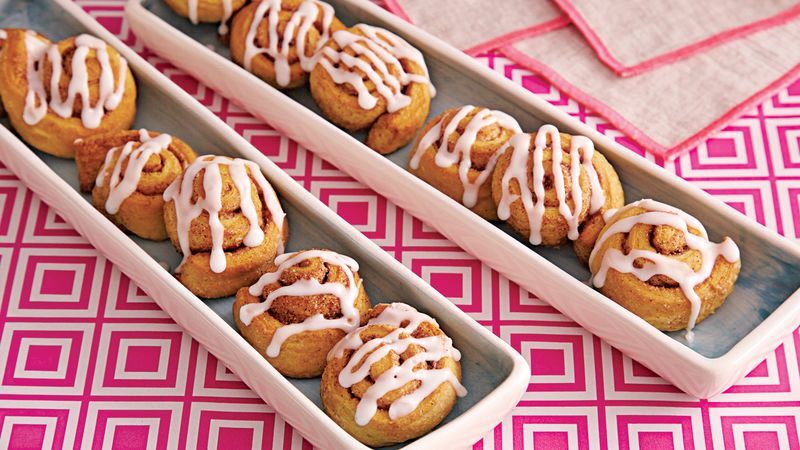 To Freeze: Freeze cooled baked cinnamon rolls (unglazed) in resealable freezer plastic bag up to 1 month. To reheat, place frozen rolls on microwavable plate. Microwave uncovered on Defrost; drizzle with glaze.